SutiGRC is a web-based solution for effectively managing governance, Risk and Compliance releated initiatives within an organization. SutiSoft Inc., a trusted provider of hosted and enterprise solutions, today announced the release of SutiGRC. The solution helps organizations manage corporate governance, risk and compliance. SutiGRC easily integrates with existing infrastructures and enables management of complex processes with distribution and approval capabilities. Risk management strategies can be integrated into the corporate management philosophy to increase involvement of employees and foster smarter business discussions. SutiGRC allows organizations to identify possible risks and plan corrective actions accordingly to reduce the extent of loss. The solution simplifies the introduction and implementation of change, helps align vendors to internal governing policies, create and renew contracts on the go, manage assets, monitor and plan mitigations for loss events, and improves compliance to various regulatory mandates. 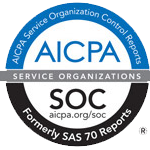 SutiGRC provides a central repository for all related GRC information including questionnaires, reports, policies, controls, contracts, regulations, asset lists, loss event records, audit plans, audit assessments, and corrective/preventive action lists which can be used when making critical business decisions. Automated alerts and notifications are used to inform managers or executives when highly potential risk, loss event, asset failure or non-compliance is identified and specific critical processes are executed. Details of actions carried out along with relevant documents are stored within the solution and act as audit trails for compliance audits. SutiGRC is made up of various modules that allow organizations to manage all aspects of Governance, Risk and Compliance. Usage can include a module or combination of modules. “SutiGRC is the single most important integrated solution available to both public and private small and medium businesses (SMBs) to manage their organizations. The solution provides the necessary management tools to comply with government regulations at enormous cost savings," said N.D. Reddy, founder and CEO of SutiSoft Inc. Identity Management - Allows Managers to create and manage User Groups and Identities in order to manage the organization structure. Access Management - Allows Users to request access for other Roles/Areas. Managers can grant or deny access requests or assign Delegates to manage the approval in their absence. Role Management - Allows Managers to define Roles for Users in the Enterprise and define constraints for managing conflicting Roles. Policy Management - Allows Managers to define Policies, Questionnaires and send them for Approval. Policies are reviewed and sent back to the users for implementation. Managers can view feedback submitted through various dashboard reports. Control Management - Allows Users to define Controls, associate with Processes and Sub Processes. Compliance Management - Allows Users to define Compliance Maps and tie them to Controls, Policies and Regulations. Users test the effectiveness of Compliance by running the associated Controls. Managers can view test histories, dashboard reports, and take appropriate actions to improve effectiveness. Risk Management - Allows Users to define Risks, predict probabilities and identify the impact. Managers define mitigation plans for Risks, and review regularly for effective implementation. Vendor Management - Allows Managers to define Services, Contracts, and Vendor Profiles; design and distribute Questionnaires. Depending on the response, risk assessment is performed and findings are reviewed. Issue Management - Allows Managers to configure Users responsible for resolving Issues. Users can report, view and fix Issues found and assigned to them. Issues reported are assigned to Users and closed when they are resolved. Change Management - Allows Users to initiate Change Requests. Managers can send Requests for review through defined approval flows. Risks, impacts of change are assessed, Change Request are approved and sent for implementation across the Enterprise. Contract Management - Allows Users to define Contracts and send them for negotiation and/or approval. Contracts are approved and automatically distributed to Vendors for execution. Asset Management - Allows Managers to define and assign assets. Users review details, monitor assigned Assets and report resulting outcomes to Managers. Audit Management - Allows Managers to create Audit plans, events, checklists, and attach applicable evidence documents. Reviews are performed based on checklists and guidelines. Findings are review, recorded and required follow-up activities are performed as needed. Loss Management - Allows Users to define Loss Events and tie them to various Business Units, Processes, Issues, Polices, Regulations, Risks and Compliance Maps. Managers approve identified Loss Events and define immediate corrective actions and escalation procedures. Pricing starts at $49.99 per module/month for up to 25 users. SutiGRC is available now. Visit http://www.sutigrc.com for additional pricing and info.